Being a gentleman is about so much more than a swirly mustache or Cary Grant. As with a lot of things, it begins on the inside. Find out how much of a gentleman you are with this quiz! 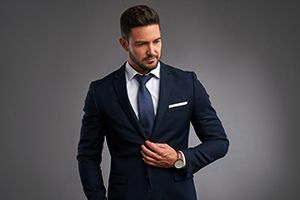 To find out how much of a gentleman you are, we'll ask you questions about your manner, tastes, talents, and other hallmarks of gentlemanliness. How strong is your handshake? Who should be the first in the lifeboat? Are you satisfied with your appearance? What is the epitome of class? Does a gentleman have it? Do you? A gentleman is partially defined as an honorable man. Find out how much of a gentleman you are by answering these questions!